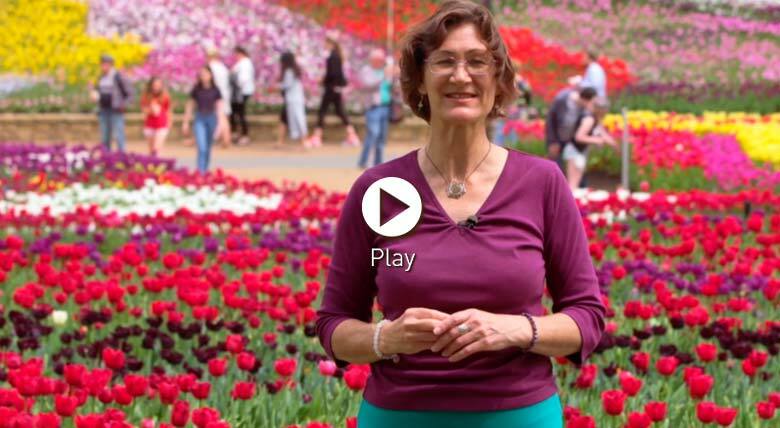 Join us in this great asana based yoga class recorded live at the spring flower festival, Floriade, in Canberra, Australia. In this session we will be flowing together Warrior 1, Warrior 2 the eagle and the tree pose in the affectionally called “Eagle and the Tree” class. Tune into the energy and vibrancy of spring in this energising class inviting colour, light and warmth - celebrating the new potential of this special time of year. Learn a new sequence of asanas to support and develop your personal practice. In this wonderful yoga asana sequence we go from the grounded energy of the warriors, and, like spring flowers, draw our strength up from the earth. We then raise our awareness up into Vrksasana, the tree pose - bringing balance and focus and new growth. We then ‘lift off’ from tree into flight of the eagle pose, Garudasana. Focus on the beautiful energy of spring by inviting colour and vitality into your body, heart and mind. Enjoy a wonderful feeling of fullness and abundance as you tune into the incredible potential that comes with the blossoming of spring. Feel supported by the energy of the earth, providing you with nourishment and soothing your whole being. Take time to simply rest in the beauty and tranquility of spring.